The digital world can be an impersonal one. If you want opportunities to come your way, you need to make it personal. 1. Include a clear, professional picture of you. A LinkedIn profile without a picture is like a body without a head. Include a picture. Your picture should be professional but not sterile. Your photo puts a face to your profile and should be one that invites others to read your profile. Consider including as your background photo an image that reveals an interest of yours. The background photo can be personal but one that shines a positive light and suggests the type of professional you are. For example, if you are a runner and participate in races, consider including a photo of you crossing the finish line of a 10K race. This photo shows the reader your drive and discipline. 2. Write a headline, not your job title. Don’t pigeon hole yourself by repeating the technical title of your current role. It is listed in the experience section. Use the headline (the domain immediately below your name at the top of your LinkedIn profile) as an opportunity to describe yourself. Offer the reader a glimpse of your background and skills. Use the headline to bridge the gap and tell the reader where you currently are and where you want to go. 3. Give a recap of who you are. Use the summary section. The summary section is your opportunity to provide the reader the lens with which you want them to view you. This is your opportunity to control your narrative, your story. Consider using first person to tell that story. Also and at the end of the summary, consider highlighting a few of your personal interests that suggest the type of professional you are. 4. Ask for recommendations and give recommendations. In addition to lending your voice to your profile, back that up with different voices by having others comment on the quality of your work. 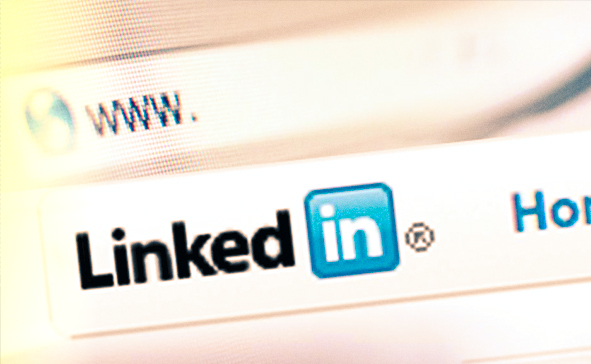 A third party can add another dimension to your LinkedIn profile. Also, demonstrate your leadership by recommending colleagues. How you view the contributions of others shines light on how you support your colleagues and, in turn, who you are as a professional. Give the reader the chance to demonstrate what it is like to work with you. 5. Show outside leadership experience and interests. Consider including some information about your leadership in organizations other than your place of work and on outside projects. A LinkedIn profile, unlike a resume, provides you more space to show a well-rounded individual. Still, as LinkedIn is a professional platform, don’t include too many personal activities. Personal interests should enhance, not overwhelm, your professional accomplishments. 6. Follow-up, and really connect. Sending an invitation to connect on LinkedIn isn’t enough to really connect. Be one of the few individuals that follow-up on the LinkedIn connection, and send a note to the person. Show that there is a person behind the LinkedIn profile, and reach out. Just like the LinkedIn invitation you sent to connect, personalize your follow-up note. Move your conversation to a phone call or even an in-person meeting, and leverage the opportunity to relate emotionally and really connect. The more “you” that you reveal online, the more likely it is that you will standout. If you want professional opportunities, don’t lose yourself in the communication. Humanize your LinkedIn profile to advocate for yourself and leverage the opportunity for success to come to you.